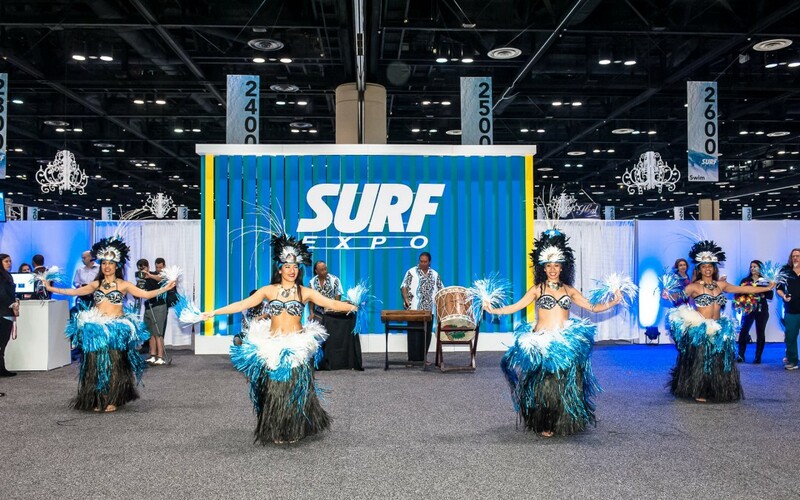 Less Than One Month Until Surf Expo! Surf Expo is the largest and longest running watersports and beach lifestyle tradeshow in the world. It’s been around since 1976 and last year’s September show sold out, which isn’t surprising in the least. When you consider the fact that Surf Expo is the best place to identify new trends, preview new brands, and get business done, it makes sense that everyone wants to be there! In addition to these impressive numbers, there’s another bonus to Surf Expo that we’re particularly excited about. It’s called Board Demo Day, and it takes place on September 9, from 11AM to 4PM. Board Demo Day supports the stand up paddle, wakeboard, and wakesurf markets, and it’s amazing opportunity for retailers to test drive new products before stocking them in their stores. It’s also a lot of fun. Check out this slide show of last year’s event to see what we mean. Whether this is your first Surf Expo or your 39th, we’d love to hear what you’re most looking forward to this year. Let us know on Facebook. In the meantime, we’ll be busy packing our bags and getting ready for a great show. See you there!